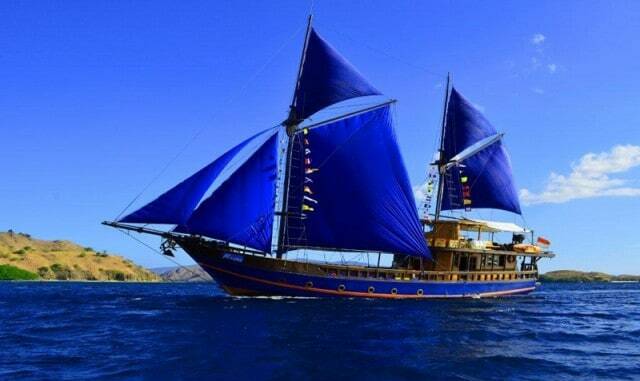 KLM Moana is a sturdy 30m-long Phinisi schooner focused on giving awesome short trips around Komodo Island. Cruisin’ at a speed of 8 knots, this liveaboard offers guests an unforgettable Komodo diving adventure! You can check the availability and prices for this boat here. KLM Moana Boat Budget Range / Price: Starts at 1,260 € for diver and 4 Nights / 1,110 € passenger (no diver). Diving in Komodo is all about action! It is BIG fishes land! With wonderful coral, it is just incredible diving all year round. If you have been diving on board this liveaboard dive boat in Komodo Island, please share your review and let us know what you thought. Please post your comments in the review section below, by doing so you will help fellow divers to plan their next diving trip . No Liveaboard Review yet on this page, please comment if you have been on the KLM Moana cruise. Cruisin’ at a speed of 8 knots, this liveaboard offers guests an unforgettable Komodo diving adventure!